TopPokerValue.com does not provide online poker entertainment or gambling, nor is it a poker room operator. This website provides gambling related material to visitors for informational purposes only. Although we may receive commissions when you click our links and register with an online poker site, this does not impact our reviews and rankings. Nor does it negatively affect your costs or benefits in any way. In fact, you may receive additional benefits by registering through one of our affiliate links. To illustrate the lack of bias in our reviews and rankings, our top rated sites typically pay us the lowest commissions (paying their affiliates less is how they are able to pay their players more). Our goal is to help you find the online poker site that is best for you and this is why our rankings frequently contradict those of other poker affiliates: we rank sites by how much they give to their players while other affiliates rank them by how much they give to them! TopPokerValue.com recommends checking current laws in your area before joining an online poker room. Although an online poker site may accept players from your area, that does not mean it is legal for you to play there. Online poker must be legal in your place of residence and/or current location, you must be of legal age to gamble, and must pay applicable taxes. 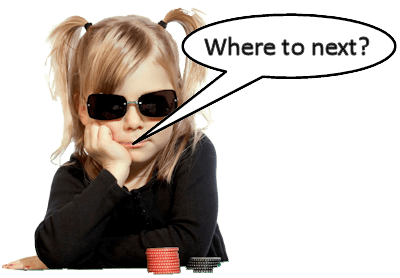 Although we try to provide a list of restricted countries for each poker site, you are ultimately responsible for knowing and abiding by the laws of your location and/or place of residence. TopPokerValue.com does not accept any responsibility for any errors on this website (including omissions or inaccurate material). Although we strive to keep information regarding each online poker site current, TopPokerValue.com does not accept any responsibility for any gambling related losses incurred by TopPokerValue.com customers.